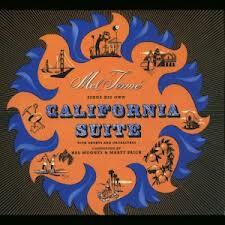 Jazz singer Mel Tormé wrote this song, as well as several others, as the California Suite, which he first recorded in 1957. The original suite was arranged by Neal Hefti and Billy May and Peggy Lee sang on the album. “Got the Gate on the Golden Gate” was recorded on September 29, 1964 and released in 1964 on the album Who Can I Turn To. It was arranged by George Siravo.